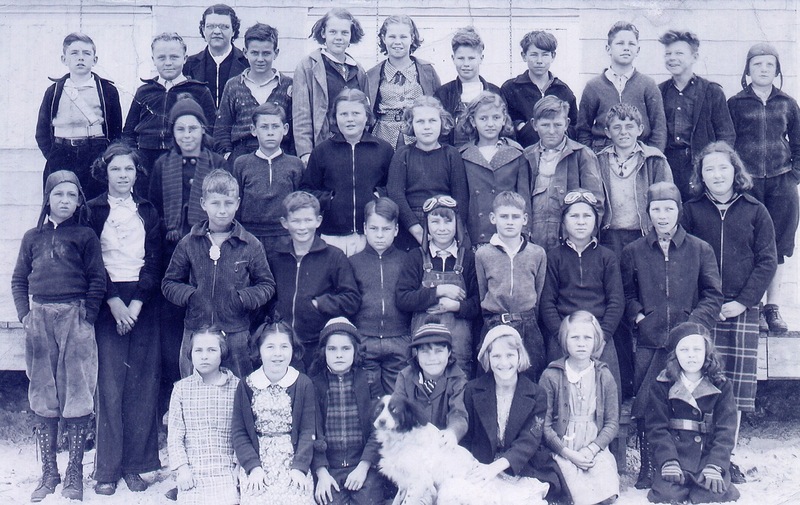 Before 1937, the Dow Road Grade School was near Henniker’s Ditch. Katie Burnett Hines was the school marm. Isabel Lewis Foushee went to Myrtle Grove School for the first grade. The new Carolina Beach School was less than half the size the school was in 2000. Children took a nickel each day for milk, which was the only thing you could buy at the time. Children rode the # 10 yellow school bus. Mr. Walter Horn and Mr. Merl were the drivers. The school bus turned right past the concrete columns (Fort Fisher Gates) to pick up Cousins Jack and Isabel Lewis. It also stopped at K and Fort Fisher Boulevard. Grade school students were dropped off at Carolina Beach School. The bus then continued into Wilmington to Sunset Park Junior High (7th, 8th, 9th grade) then to New Hanover High It was about a 55 minute trip. Children had a good time on the school bus singing and teasing the driver. The kids carried lunch money of about $1.25 a week. 4th Row: Mac Biddle, Bobby Harlow, Charles Hewitt, unknown, Betty Gray, Ernest Gray, James Lewis, Fred Dew, Richard Wooten, Martin Fields.